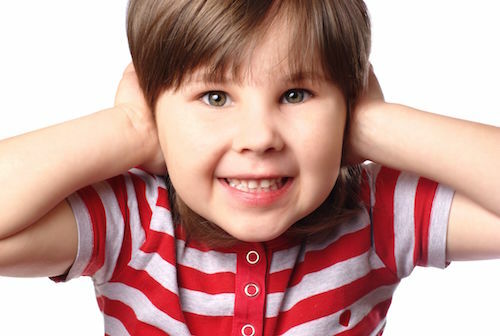 Learning that your child suffers from hearing loss is fraught with emotion. It is important that you have support in the process of managing these while continuing to follow the advice of your child’s doctors and specialists. Early intervention will help minimize the potential consequences of hearing loss which can include speech and language impairment, educational issues, and even behavioral issues. Depending on the extent and type of hearing loss, a testing strategy and treatment plan will be developed. This may involve different types of hearing tests, radiological exams, genetic testing, and evaluation of other systems that might also be involved. Treatment may include placement of ventilation tubes (a simple procedure which may resolve hearing loss due just to fluid in the middle ear), hearing aids, surgical repair of bones in the middle ear, or placement of implantable devices that can habilitate hearing loss. You will meet various professionals along the way. The most important is the audiologist who you have probably already met and may have been the first to make the actual diagnosis. Many families dealing with childhood hearing loss will have a special relationship with the audiologist. They will recommend the necessary testing, help provide appropriate hearing aids and adjust them as needed, and direct you to appropriate early intervention which may include a speech-language specialist. The ENT doctor will have the results of your child’s hearing test and will evaluate the cause of the hearing loss which may or may not be genetic and may or may not be associated with other medical issues. If medical or surgical intervention is recommended, you will be informed of the risks, benefits, options, and most appropriate doctor for your child’s care. Since we are a general community based practice, we will try to take care of the problem locally unless it is in your best interest to be seen by a doctor that specializes in pediatric ear problems. Hearing loss at birth is not uncommon. In the last two decades, screening exams at birth, or shortly thereafter, have been mandated in order to identify children who will need early hearing intervention. The incidence of hearing impairment or hearing loss at birth is 2 to 4 infants per thousand. It is critical to identify the loss as early as possible to make sure that speech, language, cognitive and psychosocial skills are addressed as soon as possible. Unlike grade school children who raise their hands when they hear the beep, different types of tests must be performed on infants and younger children. The test most commonly performed first is called an otoacoustic emission test (OAE). It is very quick screen that is generally easy to obtain on a newborn. Fortunately, passing tests are pretty reliable and failed tests may not always be accurate but should always be followed up. If a repeat test is also failed, the next step is called an auditory brainstem response (ABR) which is used to confirm or refute the failed screening test. Children may be born with normal hearing and acquire hearing loss as well. Earwax, middle ear fluid, head trauma, and ruptured ear drums can all prevent sound from arriving at the inner ear. Infections, seizures, certain medications, and other genetic problems can cause hearing loss known as sensorineural loss. If you are suspicious, your child should be tested to determine what course of treatment is needed.